The Andis T-Outliner Trimmer features an extra wide ""T-shaped"" blade design and a powerful magnetic motor that runs cool and quiet. 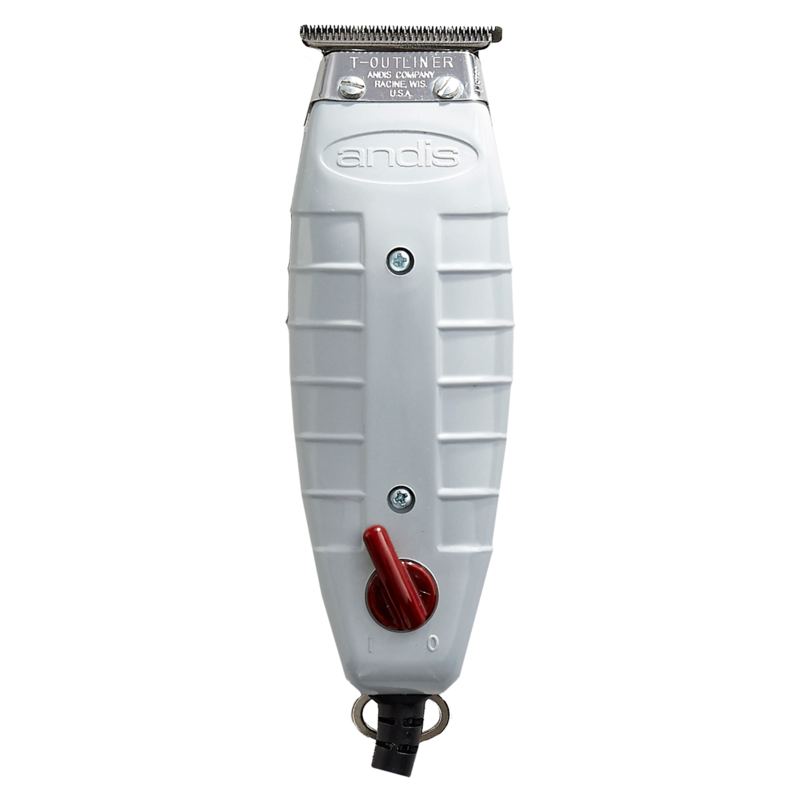 The Andis T-Outliner Trimmer features an extra wide ""T-shaped"" blade design, ideal for trimming hard to get places, beards, mustaches and edging around ears while maintaining speed, versatility and control. "I have owned two of these trimmers. I wish they lasted longer. The first one only lasted about 14 months. i loved them so much i bought a second pair. And my second pair i swear i have had for no more that 8 months and its already time to toss them. I always take care of all my stuff and never dropped them. I always cleaned them and oiled them, align the blades and everything. But they just die. If they lasted atleast 1.5 - 2yrs i would re purchase. If they lasted even longer than 2yrs i would always repurchase and recommend this trimmer But in my case they don't. So i wont re purchase." "Very happy with this trimmer, it has a good amount of power I love the t shaped blade! I’ve had co workers drop mine more than I would have liked and they never broke. I’m currently on my second year with this pair and going strong"